CEO and Founder of Therapeutic Center for Hope, Alexia is a passionate, dedicated psychotherapist with an LCSW, and a motivational speaker. Shehas successfully launched a dynamic professional women’s empowerment organization. She also leads through inspiring and teaching post Mastered level Social Workers and Marriage Family Therapists as a Florida Approved Supervisor as they work towards licensure. She has spoken at the Super Soul Empowerment Brunch, Tenet Corporations, Christ Fellowship Ministries, and at many more events. 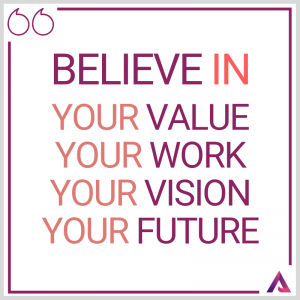 Alexia has proven herself to be a powerhouse whose purpose is to empower others to #ReclaimTheirFuture. Known among my peers as someone who tackles real issues with a dynamic coaching style. I am committed to working closely with you in gaining Healing from the past, Motivation for the present, and Restoration for the future. Her professional career began working with both children and adult in a family preservation program as an in-home therapist. Here, she assisted both children and families in identifying the root issues that were affecting their family’s positive function. She also worked with them to devise and implement appropriate skills to accomplish those goals. Alexia has a well-versed career in working in the medical community. She served on the Ethics Committee for West Boca Medical Center from 2005- 2014 where she advocated for patient’s rights to voice their desires to the medical board. Alexia was previously an established member of the Florida Adoption Counsel. Taking one year off to focus on family and professional growth, she eagerly anticipates reinstating in the Counsel. Additionally, she provides home studies for families who desire to expand their families through adoption. She also provides counseling to birth parents seeking to place their child for adoption. This is in order to assist in developing goals and coping strategies for during and after pregnancy. It is Alexia’s belief that the adoption process can and should be a positive experience for both the pending adoptive parents and the birth mother. Alexia has been the keynote speaker at Nordstrom’s signature Elemis Beauty, Caron Renaissance, Christ Fellowship Ministries, National Association of Divorce Professionals, and Tenet Healthcare, Cambridge Schools, Super Soul Empowerment Brunch, Christ Fellowship International, and Berean school. She has also presented training seminars at Hannah’s house. She is passionate about children and family issues. She is regarded by her peers as a true leader. Also, as someone who continuously shows her passion for the field and dedication to her clients. If life is not the way you envision, let’s find a way to change it! Your best You is waiting! 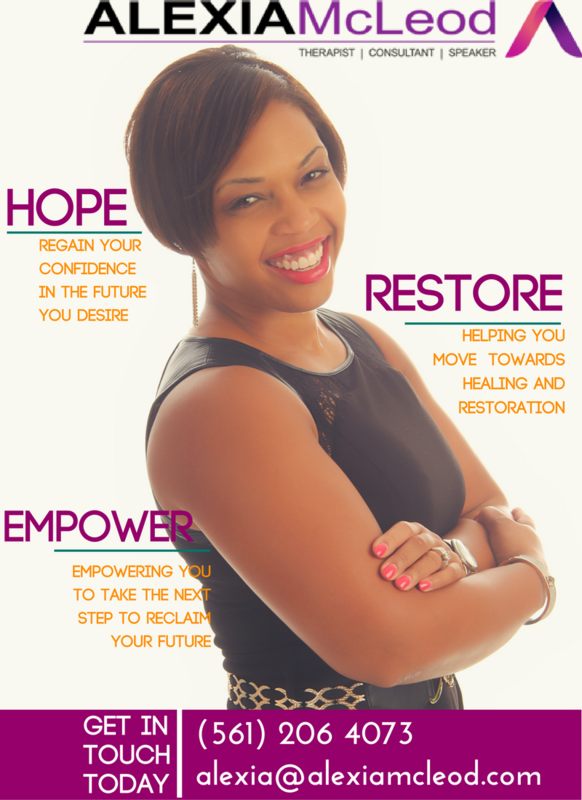 The motto “Reclaim Your Future” is embodied in Alexia’s company, Therapeutic Center for Hope, that was founded on the belief that restoration is possible. That your PAST does matter, your PRESENT is important, and that your desires for the FUTURE hold weight.